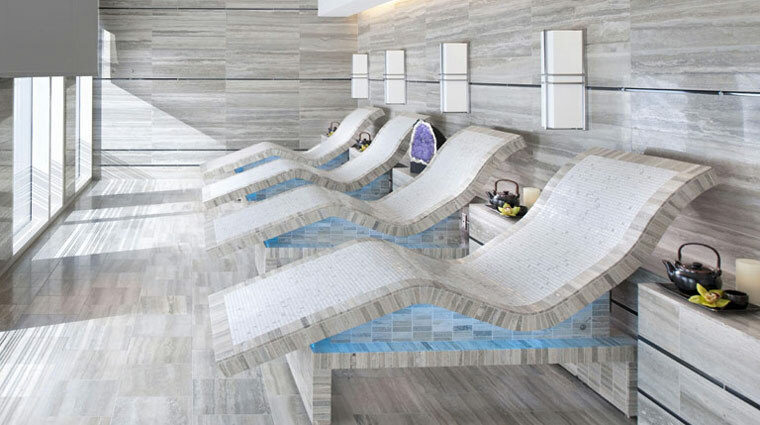 Located within the serene Waldorf Astoria Las Vegas, Waldorf Astoria Spa is luxuriously outfitted with dark woods and exotic undertones, making it a welcome respite from the bustle of Las Vegas Boulevard immediately below. Many of the massage rooms are designed with couples in mind. While a variety of treatments are offered, the highlight may just be the Chinese foot spa, which offers authentic and luxurious foot massages. Take a dip in one of the outdoor pools just outside the spa area with incredible views of the Strip. The luxury spa’s extensive list of treatments blends contemporary and ancient techniques to leave your body rejuvenated and your mind refreshed. Most of the services can be catered to your individual needs. You’re greeted with tea and a cool towel before being whisked away to the elegantly appointed locker rooms and relaxation area. One of the biggest perks of visiting thisLas Vegas retreat is getting to enjoy the various thermal experiences and special wet areas. With plush chairs, panoramic views of the Strip and heated Tepidarium chairs to soothe aching muscles, you may never want to leave the cozy relaxation room. This inclusive spa offers special treatments designed to give male guests their own special pampering. Choose from three grooming treatments exclusively for men: the Stress Buster, High-Roller and men’s purifying facial, shoulder and scalp massage. Be sure to budget enough time to take full advantage of the steam room, dry sauna, vitality pool and Laconium room (somewhere between a steam room and sauna). The minimum age required for a child to enter or receive treatments is 18, but younger teens can get pampered at the salon. 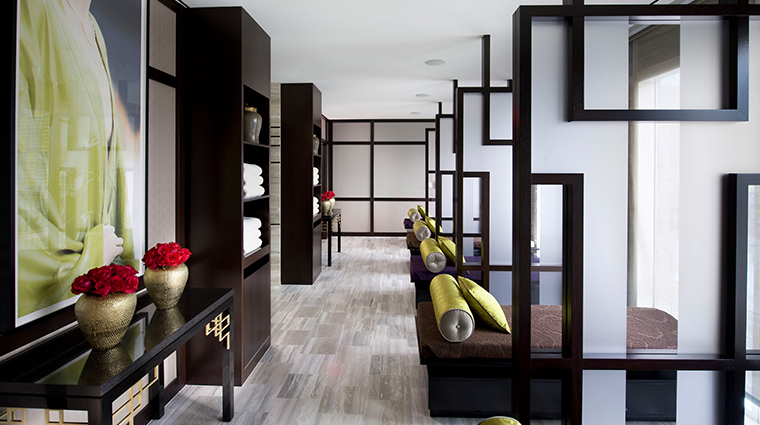 If you liked your service so much you didn't want it to end, stop in at the Waldorf Astoria Spa’s shop. There, you can purchase products used during treatments, including Natura Bissé's highly coveted skincare essentials. In-room massages are available upon request, just in case you don't feel like trekking to the spa for some pampering. 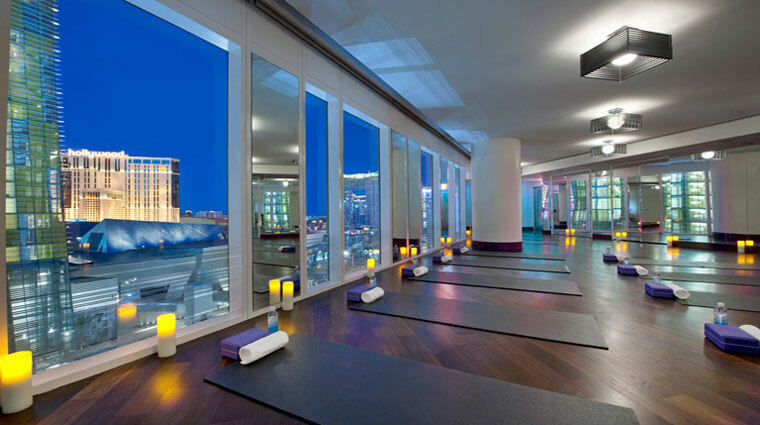 Among the seven body massages, we recommend the signature Waldorf Astoria option. The rubdown was designed to alleviate neck and shoulder tension — perfect for the busy parent or workaholic — and concentrates on easing stress and relaxing the body. We love the one-hour Ocean Botanical Detox Wrap. It includes a nutrient-dense seaweed to help detoxify, hydrate and protect the skin and body along with an uplifting salt exfoliation. Try the Diamond Brilliance facial. This revolutionary treatment brightens and tones skin and incorporates a skin-firming massage and micro-current firming device. .
Ladies will want to try the one-of-a-kind Moroccan rhassoul experience modeled after the ancient healing ritual. First you apply natural mud all over and then you sit in a room that’s heated to 100F to let it dry and draw out toxins. It’s not a specific treatment, but we like to compare Waldorf Astoria’s Time Rituals to a tasting at a Forbes Travel Guide Five-Star restaurant: sometimes you just need to put yourself in the hands of those who know. Rather than sifting through treatments yourself, book a block of time and leave the rest to the expert staff. Make time for the experience showers in the locker rooms — there are three for women and two for men. You can enjoy five different kinds of showers with various scents, sounds and lighting. Even the steam rooms have an extra-special touch, with aromatic herbal-infused steam and relaxing bench seating. Check out the vitality pool, which is heated to a steamy 104 F. You’ll be in total bliss as the bubbles soothe your aching muscles while you gaze out at views of the Las Vegas Strip. 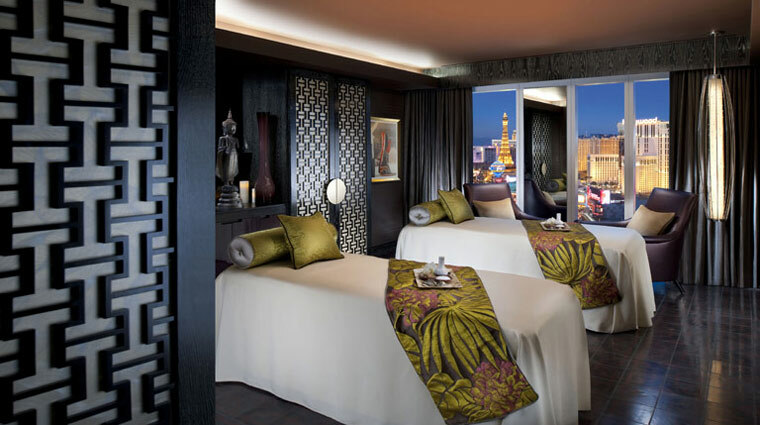 The Sin City spa also offers specialty rooms with exclusive aqua experiences you won’t find at other facilities. 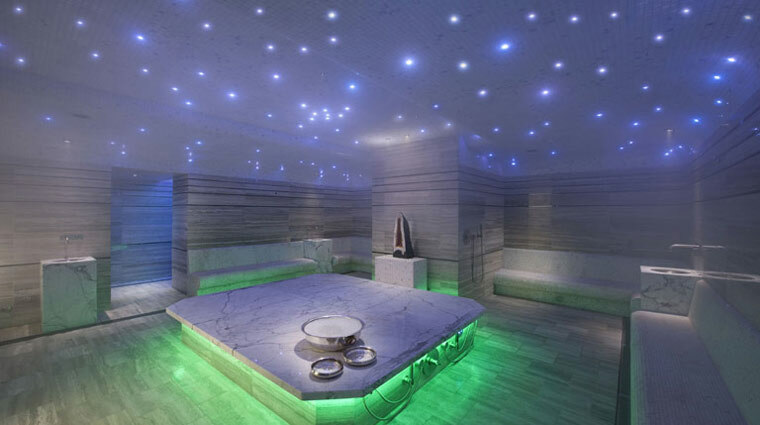 The coed hammam, which has roots in Turkey, features a steam chamber, experience showers and a heated marble massage table where everyone in your group can get an exfoliating body scrub.